Babblings of a Mommy: How To Plan The Perfect Girls Cinco de Mayo Party With Sauza. How To Plan The Perfect Girls Cinco de Mayo Party With Sauza. Grab your sombreros ladies – it’s fiesta time! Cinco de Mayo is right around the corner and who couldn’t use a good girls night in with some tacos, colorful décor, and of course delicious margaritas?! Throwing a Cinco de Mayo party is super easy and fun. All you need is few essentials and a handful of your closest girlfriends for a fab celebration. First thing is first – when figuring out what to wear for a girls night in I always choose something that easy and no fuss. A maxi dress in a fun bold color is always my first choice. I would pair it with a beaded fringe necklace and cute wedges for the occasion. When it comes to the décor, the brighter the better! Choose decorations that are fun, bold, and festive like paper fans and lanterns. 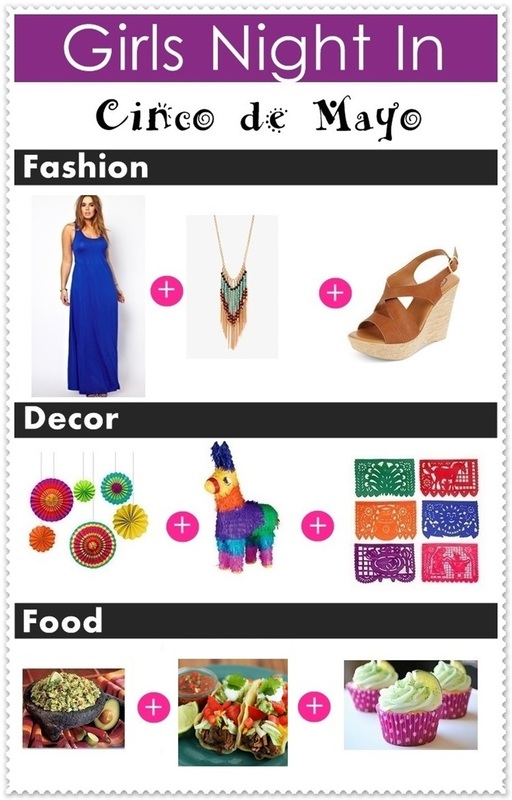 A piñata is also a super cute touch and a fun way to get the party started! The food at a Cinco de Mayo party has to be good and easy to serve. Having a chip and dip area with plenty of guacamole and pico de gallo is a given, but I would also recommend having a taco station where your friends can make their own tacos to their liking. Then to finish off I would serve tasty margarita cupcakes. And speaking of margaritas – for the drinks I would serve Sauza-ritas for all! Made from delicious Sauza Blue Silver 100% Agave Tequila, it is sure to make it a memorable a girls night in! By the way, have you seen the Sauza lifeguard? Yum. He's equally talented in the saving of lives and the ways of love. And best of all? He's ready to pour you a Sauza-rita, and listen as you pour out your feelings. This perfect man is perfectly prepared to help make your ladies night unforgettably fun - with Sauza Blue, of course. Check us out at http://facebook.com/SauzaMargaritas. Nice post! Hope you are having a wonderful day!